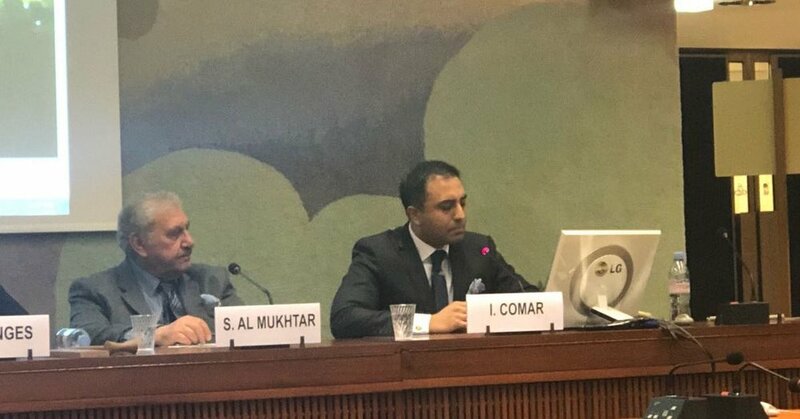 The following is a statement given by Inder Comar at a side event of the 37th Regular Session of the UN Human Rights Council in Geneva, Switzerland, on March 15, 2018. · And to disregard preexisting laws, constitutional rights or judicial review. The United Nations was manipulated as a tool to acquire wider support for the invasion—most prominently, U.S. Secretary of State Colin Powell’s 2003 speech falsely claimed facts about the Iraqi weapons program. In so doing, the United States abused the United Nations, turning these halls into a house of lies -- lies spread to support the annihilation of another member state.